At age 24, Vancouver poet Mona Fertig established her first Literary Storefront operation at this location, in a vacant upstairs dress shop, suite #213. Her concept of a communal meeting place for literati was inspired by Sylvia Beach’s Shakespeare & Co. bookstore in Paris during the 1920s. Two hundred people attended the opening on May 13, 1978. In March of 1980, the literary storefront moved to its second location, nearby, upstairs at #1-314 West Cordova. There were more than 600 literary readings and events during the four years of Fertig’s directorship. In 1982 she transferred management to four committees and her board of directors in order to move to Montreal. Wayne Holder and Tom Ilves (later the president of Estonia) took over the reins but the Literary Storefront Society was dissolved in January of 1985. 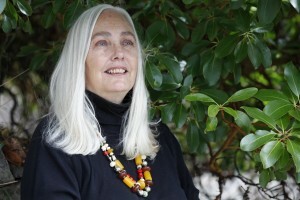 In 1990, Fertig moved to Salt Spring Island, with her husband Peter Haase and their children, where she and Haase started (m)Öthêr Tøñguè Press, a private literary press later renamed Mother Tongue Publishing. Mona Fertig was born in Vancouver on February 14, 1954 and grew up in Kitsilano. She attended the Vancouver School of Art and was the Education & Special Events Co-ordinator for the Surrey Art Gallery. In 1978, at age 23, she opened the Literary Storefront in Gastown, Vancouver. Its literary salon concept was inspired by Sylvia Beach’s Shakespeare & Co. bookstore in Paris during the 1920s. The Gastown facility hosted readings and housed the first B.C. office of the Writers’ Union of Canada (1978-1982). Mona Fertig has published seven books and five chapbooks of her own, and given readings from Vancouver to Newfoundland; from New York to San Francisco. She has been a bookseller, founding member of the B.C. Federation of Writers, a member of the Femininist Caucus-League of Canadian Poets, a B.C. Book Prize Committee member, B.C./Yukon Rep for the Writers’ Union of Canada and B.C. representative for P.E.N. Canada. Her long and deeply felt poem that encapsulates her impressions of life on Saltspring Island, entitled This is Paradise (2005), doubles as a lament and a celebration. The Unsettled, from Kalamalka Press in Vernon, was Mona Fertig’s first full-length book of new poetry in twelve years. It is No.7 in the Mackie Lecture and Reading Series published by writers-in-residence at the Mackie Lake House every fall in Vernon. Mona Fertig was writer-in-residence at Mackie House and worked on the manuscript while she was there. The Unsettled is the metaphor for poems of homelessness, uncertainty, development, politics, relationships, wilderness, and the spiritworld. Mona Fertig welcomes stories and photos from anyone who remembers her Literary Storefront days. Write to Mother Tongues Press (aka (m)Öthêr Tøñguè Press) on Saltspring Island. As part of her initiative to transform her (m)Öthêr Tøñgué Press to Mother Tongue Publishing, Fertig organized an art auction at Tony Westbridge Art Gallery in April of 2008 to support her new publishing program. Approximately 30 people attended. Proceeds were allocated to subsidizing publication of David Franklin Marshall by Monika Ullmann, the first book in a projected series about overlooked B.C. artists, due in December 2008. “We sold 24 of the 40 pieces and made approximately $8,000,” she wrote. “Four of the pieces sold on-line, two had competitive bids and the rest sold at the live auction at the Westbridge Fine Art Gallery. David Franklin Marshall’s bronze sculpture donated by George and Mary Ann Drake of Bellingham fetched a good price and there was some exciting live bidding between two interested parties. Unfortunately David’s beautiful Cahoba wood sculpture on a chocolate slate base did not sell.” Financial supporters of this auction were BRIAN & VISI BATSFORD, UNITY BAINBRIDGE, ENDA BARDELL, ROBERT BATEMAN, WIM BLOM, THE CARUSO GANG, DIANA DEAN, PAUL WOLF, TINA DICKEY, PNINA GRANIRER, INGEBORG, DIMITRI & MARYA HARDMAN, P.K PAGE, LYNDA & GABRIELLE JENSEN, PETER HAASE,ANNI KNOOP, CHARLES MAYRS, SUSAN MCGILLIVRAY, FRANK MOLNAR, CAREL MARSHALL, VINCE OCHS, ERIC OCHS, WESTBRIDGE FINE ART GALLERY, PARVANEH ROUDGAR, GARY SIM, GREGG SIMPSON, SHERYL R. SMITH, IAN & CLAIRE SIGVALDASON, PHYLLIS WEBB, CARMEN ARGUELLES-LASLEY and ALAN HAWTHORNE. With Harold Rhenisch, Mona Fertig co-edited a landmark collection of B.C. poets, Rocksalt. The Unsettled (Kalamalka Press, 2010). Poetry. No.6 in the Mackie Lecture and Reading Series. Invoking the Moon, Selected Poems 1975-1989 – Black Moss Press, 2006). $15. 0-88753-429-5. “I PULLED THIS IDEA OUT OF THE SKY,” says Mona Fertig, editor of A labour of love (Polestar $12.95), An Illustrated Anthology of Poetry on Pregnancy and Childbirth, “And now it’s come alive.” Described by Fertig as the first major anthology on the birth process in Canada, A labour of love was inspired by Judy Chicago’s “A Birth Project.’ Fertig, a founder of Vancouver’s defunct Literary Storefront, drew from her vast range of contacts before selecting contributions from 66 female and male poets such as Margaret Atwood, Susan Musgrave, John Newlove, Sharon Thesen and Glen Downie. Was Paradise ever pristine? Is perfection even desirable? Mention Salt Spring Island and elicit Utopia. Mona Fertig has lived there for fifteen years and in this long poem chapbook she laments the island’s decline. Each stanza is prefixed, “This is paradise,” followed by accounts of its flaws and cracks. Grazing pastures become vineyards, Americans buy up waterfront, the history of racism conveyed by buried rice bowls, the First Nations’ dead, the idealistic hippies, grown old, cut their greying hair, are felled by arthritis, artists hustle tourists like hookers, the kids leave for the city. There are food banks and homelessness. What’s to be done? Fertig’s elegiac descriptions are more shadow than light. The tone is resignation, a requiem. Paradise cannot be grasped; as soon as one tries to corner it in words or own it as real estate, it slips out of reach. How far can the notion of earthly Paradise be shifted before it snaps? If all perfection is flawed, where is the point where flaws outweigh vision? A reader prone to philosophizing about environment and civilization will find much to dwell on in this long poem. The old acreage is subdivided. The activists are burned out. Politics are hypocritical. Fertig conveys a palpable bereavement. The dream was always flawed but now it’s crumbling, maybe beyond repair. But there’s an irony. This gorgeous-to-see-and-hold book, hand sewn luscious paper, tipped in photographs with embossed cover, was made on Salt Spring by the private literary press which Mona and her husband operate. Maybe that’s one answer to entropy: support Beauty “clear as the future,” regrowing with her, restoratively creative. Many British Columbians are aware that Sir Bob Geldof began his career as a part-time music writer for the Georgia Straight but few know the current president of the Republic of Estonia, Toomas Ilves, was once involved in the management of Vancouver’s Literary Storefront. Under Ilves’ presidency, Estonia has become the first country in the world to introduce voting via the internet for national elections. Estonia has also declared access to the internet to be an unalienable human right. During the early 1980s, according to Fertig, Robert Bringhurst was also involved in Literary Storefront-related readings that were held at a Duthie’s bookstore outlet in the West End, on Robson Street. Rumours circulated at the time that Ilves could be involved with the CIA. Coincidentally, the current president of Latvia, Vaira Vike-Freiberga, is also someone who lived in Canada for an extended period. It was 1977. I was an idealistic young poet of 23 and my dream of The Literary Storefront, a salon-style literary center in downtown Vancouver began when my next door neighbour, poet Beth Jankola, came over one wet spring day when we lived next door to her in Burnaby, to lend me the library book; Shakespeare & Co. by Sylvia Beach published in 1956. But the seeds of this idea had been planted three years earlier, when on October 6th, 1974, The Vancouver Poetry Co-op applied for a $17,780. L.I.P. grant (Local Initiatives Program from Manpower) to start a Vancouver Poetry Co-op Resource Center at #4 W. Pender St. 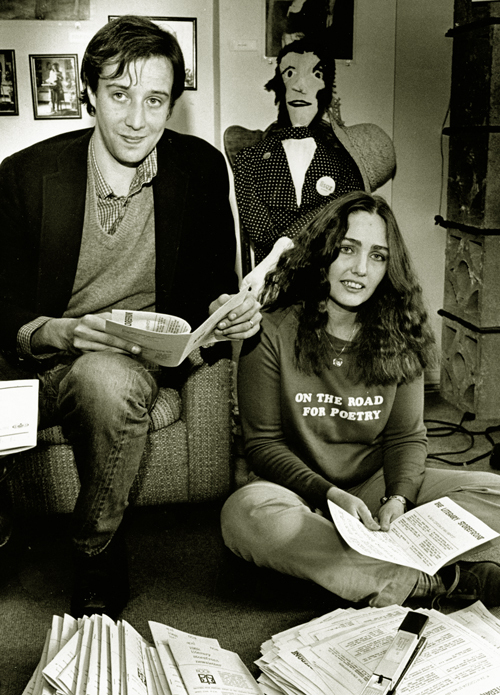 The Vancouver Poetry Co-op had evolved from a weekly poets’ group held at the Vancouver Public Library downtown in the winter of 1972-73 until spring of 1974. This is where I first met poets such as Cathy Ford, Gwen Hauser, Tim Lander, Nellie McClung, Ed Varney and Eric Ivan Berg. For the Poetry Co-op Resource Center, I was to be the Program Coordinator, Beth Jankola, Gwen Hauser, Tim Lander and Nellie McClung were to be the Poet Workers, plus there was to be a secretary/bookkeeper. “The Poetry Co-op Resource Center was to serve as an informal meeting place for poets and writers as well as an archive center and coordinating center to promote interaction between poets and the community.” The Vancouver Poetry-Co-op had a core of ten poets and a total membership of about 40 (said our grant application). We had letters of support from Ed Varney-Director of The Poem Company, D.M. Fraser – Pulp Press Ltd., Gregg Simpson – Intermedia Press, Dorothy Metcalfe – Special Events Coordinator V.A.G., and George Whiten – Director of Neighbourhood Services Assoc. Needless to say we didn’t get our grant. In 1977 I was unemployed and trying to figure out which direction I should turn for work. I had organized readings in nearly every library and gallery in Vancouver as well as readings in Burnaby and Surrey. After reading Shakespeare & Co.( a famous bookstore/salon in Paris run by Sylvia Beach, who also published James Joyce’s Ulysses), I was so inspired that I sat down to imagine a modern day locale, a place for all writers, and apply for a Canada Council Explorations grant. I knew the idea couldn’t be a bookshop like Sylvia Beach’s, because the Canada Council would not fund a business, but it could be a nonprofit literary center, a hub for grass roots activity. The 70’s literary scene in Vancouver was fragmented by many different writing cliques, schools and university groups all rolling around in their own universe. I had experienced some of this exclusiveness and wanted to have a place where these walls were broken down and a common ground prevailed. To my delight many Vancouver writers, publishers, librarians, booksellers and editors were interested in my idea and sent in enthusiastic letters of support to The Canada Council. In the fall of 1977, as I awaited the results of my grant application, I was hired by the Surrey Art Gallery as the Special Events and Education Coordinator. In the spring of 1978 I received the news that I had received an 8 month grant for $7,500 to open The Literary Storefront. I was ecstatic! My job at the S.A.G. was one I enjoyed, and it was soon to become a permanent position, but it didn’t take much contemplation to give my notice. I immediately began my search for affordable rent in downtown Vancouver. The best deal came from Marathon Reality. They had unrented shops upstairs in Gaslight Square, so I approached them, on the advice of a friend, and asked if they would consider renting one to me at a discount. They agreed and let me rent a vacant dress shop, complete with change rooms at the top of the stairs. #213-131 Water St. I sent out a press release at the end of April for volunteers and a notice of the coming opening and many strangers turned up to paint and clean and get the place ready, as well as poets I knew. Some of those who came to help were Sheila McCarthy, John Warren, Cathy Ford, Jane Munro, Peter Goodchild, Jennifer Alley, as well as many others whose names I’ve forgotten but whose photos I still have. Peter Haase, my future husband, was my biggest supporter. We painted the bright orange walls cream, drank beer, put up shelves, ate chili, called up companies and groups for donations of office furniture and equipment and had a great time getting the place ready. Paul McLaughlin, an old high school friend and my sister Moana, helped prepare the food on opening night. My mother, Evelyn, also helped paint and set up things and my dad, George, would visit and watch. My parents were amazed at what I was doing. I commissioned Sima Elizabeth Shefrin to make a life-size soft sculpture of Sylvia Beach for the opening and Sylvia presided over the Storefront for years, until one day, I decided to wash her and she fell apart. In my excitement I misspelled San Francisco and one well-known Vancouver poet circled the spelling mistake and returned the invite to The Canada Council with the comment; “ just thought you’d be glad to know that your money is well-spent in furtherance of Canada’s literate culture.” The Canada Council felt I should be made aware of this person and mailed me the comment. Needless to say I never invited this poet to read. On opening night May 13th 1978, over 100 poets, writers, editors, publishers, booksellers and friends turned up to celebrate. I invited Geoff Hancock, who edited Canadian Fiction magazine, to officially open The Literary Storefront. He made a small speech and sliced open the uncut pages of a book. Then the party began. Peter ran the bar. He had 20 cases of Labatt’s Blue donated and delivered for free because he’d told them there was a big literary event taking place. Marathon Reality allowed us to use the empty upstairs space for dancing. You got there only by elevator. The large vacant room full of windows had an outside balcony and there we set up an Akai reel to reel with 3 hours of great music on each reel. There was lots of dancing and drinking and smoking. In those days people smoked joints openly at any and every occasion along with cigarettes. In the first two years over 13,000 people visited the Literary Storefront which was open regular hours: Tue-Fri 10:00-5:30 and Sat.12:00-5:30. They attended various events such as readings, book sales, workshops, special performances and book publication parties. Membership, which was open to everyone, was $15 a year and it included receiving a monthly newsletter full of information, use of a lending library which had over 2,000 titles, many of them signed, use of the Storefront for meetings and in-store use of typewriters. We also had a Buy A Brick program, where for an extra donation you could have your name printed in gold on an old red brick on the Storefront wall. Every morning when I went to work, I would drive in from Joyce Rd., where Peter and I lived, park my car in Japantown, and walk to work. I loved walking through the ( then) quiet city streets to open The Storefront. There would often be a poet or a budding writer waiting outside to come in. I loved the excitement of those days and found I had a natural intuition for connecting people and creating community. In the first 4 years over 600 public readings were given by writers: Eldon Grier, Leona Gom, Britt Haggerty, Margaret Atwood, Lawrence Ferlinghetti, Earle Birney, Dorothy Livesay, Colin Browne, Sandy Frances Duncan, Marya Fiamengo, Jon Furberg, Christie Harris, David Conn, Doug Beardsley, Robin Skelton, Daniel Halpern, Avron Hoffman, Tim Lander, Liz Lochead, David McFadden, Howard White, Mark Warrior, Sharon Thesen, Stan Persky, Susan Musgrave, Pat Lane, Tom Wayman, Dorothy Manning, Surjeet Kalsey, Rosalind MacPhee, George McWhirter, Peter Trower, Anne Szumigalski, Norm Sibum, Karl Siegler, Ann York, Anne Marriot, Helen Rosenthal, Carolyn Zonailo, Colin Morton, Erin Moure, Al Neil, Roy Kiyooka, Marguerite Pinney, Keith Maillard, P.K. Page, Rona Murray, Audrey Thomas, Carole Itter, Penny Kemp, Eileen Kernaghan, Mark Madoff, Phil Hall, Greg Gatenby, David Watmough, Brian Fawcett, Leona Gom, Reshard Gool, Marilyn Bowering, Daphne Marlatt, Jim Green, Joe Rosenblatt, Ann Blades, Kirsten Emmott, Anne Cameron, bill bissett, Judith Copithorne, Hope Anderson, Cathy Ford, Albert Moritz, David Uu, Ed Varney, Dale Zerioth, Dona Sturmanis, Rikki, Norbert Ruebsaat, Al Purdy, Helen Potrebenko, Jane Munro, Renee Rodin, Jean Mallinson, Scott Lawrance, John Mills, Sid Stephens and many many more. There were also open readings every month and we recorded nearly every reading on tape. Each season new writing workshops were held. They included: Autobiographical Writing with Jane Rule, Playwriting with Margaret Hollingsworth and John Lazarus, Short Fiction workshop with Jack Hodgins and Audrey Thomas, T.V. Drama Writing, Science Fiction Writing, Journalism with Andreas Schroeder, The Process of Poetry, Book Review Writing and many more. We also featured exhibits that included: Writers’ rejection letters, ‘Boxed Words’ by Beth Jankola, Old reading posters, Talonbooks author posters, paintings by bill bissett, and Carole Itter’s ‘Alphabet’. Membership rose, at its height, to about 500, and included the group membership of The League of Canadian Poets, who maintained office hours at The Storefront, as well as the first regional office of The Writers’ Union of Canada. Writer Joan Haggerty was the first TWUC office person and Ingrid Klassen later became the Executive Director of the BC & Yukon Branch of TWUC. In 1980 my time of renting in Gaslight Square was up and I was forced to look elsewhere to house The Literary Storefront. So we packed up our library, the files, filing cabinet, framed Shakespeare & Co. photos of Ezra Pound, Djuna Barnes, T.S. Eliot, Janet Flanner, Ernest Hemingway, James Joyce, Hilda Doolittle, plants, couches, coffee table, podium, desk, chairs, lit mags, large round table that Peter had build for workshops, and moved up the street. Our 2nd location opened March 1st upstairs at #1 – 314 West Cordova, just a stones throw away from the Triangle restaurant. Our reopening gala was a great success and it featured readings by: Graeme Gibson, Sylvia Fraser, Brian Moore, Susan Musgrave and Keith Maillard. In May 1980 the BC & Yukon Branch of The Writers’ Union of Canada and The Literary Storefront put on a BC Writers’ Review at the Q.E. Playhouse that was a hit. Produced by Keith Maillard with stage director Roy Surette and coordinated by Ingrid Klassen and myself we lined up 12 BC writers and a singer to read and perform on stage in a scripted reading. It included: Sandy Frances Duncan, Robert Harlow, Robin Skelton, David Watmough, Maxine Gadd, Dorothy Livesay, Ferron, bill bissett, Earle Birney, Susan Musgrave, Christie Harris, Richard Wright standing in for Phyllis Webb and Carol Shields. The Storefront continued to inspire and produce many readings and special events (Carole Itter & Al Neil’s wedding and broken glass performance, Fiona McKye’s costume strip performance, Roy Kiyooka playing a zither while a drunk poet sang, Peter Trower and Suzie Whiten singing with band). We also published our annual; The Birthday Book and had marathon Raise The Rent readings. People continued to drop in off the street, wandering up the stairs to discover, to their amazement, another world above the sidewalk, a world that was casual and literary and that welcomed them as writers and readers. There was often coffee and tea available in the day and someone at the desk answering the phone, or Ingrid Klassen offering publishing information, or Dona Sturmanis offering printing & editorial advice. I was usually busy organizing or applying for grants or typing up the monthly newsletter, and at night, if there was a reading, we always closed the door, turned on the mike while Peter Haase hosted the bar, sometimes sang a set of tunes, and occasionally turfed out the rowdies. $1.00 for beer, wine or a shot. In our new large lofty space Dallas Peterson Associates rented a room in the back where they printed and published various books and offered editing and writing services. This business was run by Dona Sturmanis and the printing was done by Eric Nordholm. The TWUC office was across the hallway, presided over by Ingrid Klassen. But by the 4th year of running the L.S. full time I was very exhausted. The struggle to find funding and volunteers was constant. I was also writing and publishing and had crossed Canada twice on two reading tours. So with great regret I decided it was time for me to leave the Storefront and let the members take over. I decided I would move to Montreal in April 1982 to recuperate, to do nothing, to throw away my watch and calendar. Once I’d made this decision I began the process, and it took me many months, of turning everything over to 5 committees and the Board of Directors (Gordon Cornwall, Cathy Ford, Dona Sturmanis, Jennifer Alley, El Jean Wilson, Tom Ilves). It was an enormous task. Days before I left the members held a wonderful going away party for me, presenting me with a dozen roses, one at a time, throughout the night, as well as gifts and poems. The week I departed (April 13th), Wayne Holder and Tom Ilves,( who is now President of Estonia), two Americans who had joined The Storefront earlier that year, took over the reins. Our first funding from the BC Cultural Fund arrived. Wayne and Tom had the enthusiasm and time to run the place for a year, presenting a large Edward Albee festival, bringing in George Faludy, Elizabeth Smart, and other big names and increasing the Literary Storefront’s already established reputation as a literary center. The first in Canada. But behind the scenes many members began to feel alienated from the new leadership. The committees began to dissolve. When I returned to Vancouver in the fall of 1982 I heard from disheartened members about the lack of inclusiveness, the autocracy, and even though I had no desire to step into the situation, I finally decided to write a letter on February 13, 1983 in defense of the constitution, of the membership, and of the spirit in which the Literary Storefront was founded, “My recent re-involvement is only as an Advisory Board member and believer in its egalitarian dream which is difficult in this egotistical age, but something that makes this place all the more valuable and worth working for…I created this place to break down walls, not to build them.” Later that month Peter and I removed our remaining personal belongings. By 1983, the Literary Storefront was in debt, there was a great shortage of volunteers and energy, the doors were shut and the phone disconnected. Wayne and Tom had left the Storefront and a new Board was elected at the AGM. They were Sharon Barber, Francesca Newton-Moss, Richard Stevenson, Robert Bringhurst, Trish Hopkinson, Robert Stellmach and El Jean Wilson. The Board decided to vacate the premises at the end of November. “In spite of these changes, we have not thrown in the towel, the recent AGM led to the appointment of a new Board of Directors committed to reviving and revitalizing the Storefront.” The Newsletter had already evolved into the Vancouver Literary News, then The Calendar was produced during the crisis. L.S. events and readings were held at Duthie Books and elsewhere over the next few years when the Literary Storefront was no longer a place but a struggling spirit. But revitalizing was harder than expected with a decline in membership and with no center to work from. Some of the Literary Storefront material was disbursed to the UBC archives, part of the Literary Storefront library was donated to the Kootenay School of Writing. Various boxes of periodicals the L.S. had on consignment sat in El Jean’s basement for years. The Writers’ Union moved to a new office. The Federation of BC Writers was growing and K.O. Kane was working with them trying to find another writers’ space which could be shared by writers and writers’ groups. I have kept over 500 letters, postcards and copies of letters, 125 reading tapes, the autograph book as well as photographs, which I hope will soon find their way back to the UBC archives. When the sad news of the Storefront’s demise arrived at my address in Beach Grove, Tsawwassen, my daughter, Sophia, was a year old and the L.S. days were a distant yet poignant memory amongst the diapers, sleepless nights and the wonder of motherhood. Years later, in the 1990’s, while working at Volume Two Bookstore on Salt Spring Island, I attended the Vancouver CBA. ( Canadian Booksellers Association Conference, now called BookExpo) and ran into Ann Cowan of the new SFU Writing & Publishing Program and Alma Lee of the Vancouver International Writers’ Festival. I remember how surprised I was when they both told me that the Literary Storefront had been a source of inspiration for them and their work. Surprised and pleased that the trickle down effect was still happening. The Literary Storefront, in the meantime, with the exception of Vancouver & Its Writers; a guide to Vancouver’s Literary Landmarks by Alan Twigg – Harbour Publishing-1986, was forgotten by the history-writers. There was no mention of it in the BC literary section of the Encyclopedia of British Columbia, edited by Daniel Frances- Harbour Publishing- 2000 (although when I phoned to tell him he said it would be added to the on-line version), nor in W.H. New’s Encyclopedia of Literature in Canada published by U of T Press, 2002. Nor was there mention of me as a poet. We had both disappeared. As I look back on the life a book influenced, I wonder if there will ever be another writers’ center in Vancouver, not like The Literary Storefront, but inspired by the egalitarian qualities that made it strong, that made all welcome. Maybe the Joy Kogawa House will become such a place. A place that will also become the keeper of the literary history of BC, because it can so easily be forgotten, be unacknowledged, or disappear from the discourse, especially if it is not included in written or recorded history. “The Literary Storefront was both warm and cool, elevated above Powell St. when this route out of town was, as it always is, changing its small commercial models on the street front and but not yet the social centre for the brilliantly beautiful young from the suburbs that it often is today. No, at night it was lofty over the dark and quiet unless the poetry parties were encamped by mona and peter to up and astound the local ghosts, who were always wandering about for a good time, as in any ancient part of the city of the world. I remember attending the exhausted and disdainful Stephen Spender, who really didn’t like my query about past literary feuds. I totally missed “By the Waters of Babylon I sat down and wept” which i regret because i was living on Galiano Island and had long dawns in trafficless roads to hike to get to the ferry. “When Mona asked me, a young literary editor of a short story magazine, to make a little speech and cut the pages of a book as official opening of her new literary storefront, I was barely aware of narrative entanglement. Yet her combined drop in centre, non traditional nonprofit combo book and artshop, with an ambitious aside of newsletters, pamphlets about the art and business of writing and publishing, even birthday books, appealed to my sense of process, discovery, permeables, and variables. That rainy night in July 1978, I put on my best red and blue hand knitted artsy yarn necktie, headed out in the sluicing rain, (what some call the organic imagination) to Cordova St. I cut the pages of an old style book, foreshadowing Mona and Peter’s later career. I cant recall my speech, the first sign of lilterary amnesia, but I remember the significance of opening the field to something unexpressed. Mona through her experience in local art galleries and a profound understanding of various salons in Paris, New York, and San Francisco, had a romantic faith in the open ended possibilities of art and literature, not as static but flowing and dynamic. Though a small community, Vancouver literary publishing in the early 1970s included a diverse cluster of magazines and small presses, writing programs, mimeo, concrete poetry, irregular broadsheets, pamphlets, street scenes, poetry readings, sound poetry, tribal gatherings, intermedium art happenings challenged the idea of a literary text. “From 1978 to 1983 The Vancouver Literary Storefront was a meeting place for people in Vancouver who were interested in literature, not just on the page but in the flesh. It was a romantic venture, linking the literary scene in Vancouver, on a fragment of the Pacific Rim, on the only recently settled edge of a new country, with a famous literary bookstore in Paris early in the 20th century, but it was also pragmatic: Vancouver lacked a gathering place for writers and readers, and the Literary Storefront invited, welcomed, and provided an audience for writers from across Canada. The Storefront was a network and a web before such metaphors became current for the ways in which people with common passions and ambitions come together. It was the fulfillment of the dream of its founder and creator, Mona Fertig, and lasted as long as her indefatigable but not infinite energies could keep weaving it and sustaining it. She was young, she dreamed on a large scale, she had a gift for practical detail, and it worked. The Storefront Newsletter, modest by the standards of today’s computer-produced publicity, printed news of markets, of editing services, of literary periodicals; printed reviews of new books of poetry and fiction; announced literary workshops, and published poems. I remember rainy afternoons spent with Mona, her mother Evelyn and other volunteers, putting the pages of the Newsletter together. The Storefront was in every way a hands-on institution. It was in the pages of the Storefront Newsletter on March 20, 1982 that the first annual general meeting of the Federation of British Columbia Writers was announced, among its members writers who went on to distinguished careers: Carolyn Zonailo, Tom Wayman, Fred Wah, George Payerle, Leona Gom and Jan Drabek. It stands to reason that the literary excitement created locally by the Storefront played a part in the creation of the still thriving Federation. It is well known that writing comes to life in two ways: in the solitude of composing, revising, researching, and in the exchange among the always varied and interesting people who are blessed with a passion for writing, for reading, for listening. Mona made this coming together possible when she rented an empty loft on Water Street and invited people to come and listen to and talk about poetry, to meet and mingle with writers. Just walk up those long stairs, open the door, and you would be part of it: literature embodied, on its feet, talking, drinking beer in the convivial atmosphere encouraged by Mona’s companion Peter Haase. I remember Elizabeth Smart, with her anguished prose and her school girl’s manners, Michael Ondaatje, still a romantic poet, Audrey Thomas reading from her novel Latakia. I remember above all the feeling of being where literature was happening, where poetry was what mattered. Were we all figments of Mona’s strong dream? No, because many who were part of that community – Jan Conn, Jane Munro, Susan Musgrave, and others — have gone on to sustained careers as writers, and after the Storefront closed, the (m)Other Tongue Press, a private literary press run by Mona and Peter on Salt Spring Island, developed out of another of Mona’s dreams and her dedication to local writers. “The Literary Storefront was our Paris in Vancouver–what excitement! It was the number one gathering place for local and visiting writers. Modeled after Sylvia Beach’s Shakespeare & Co., The Literary Storefront brought the feeling of Paris in the days of James Joyce, Gertrude Stein, Djuna Barnes, Morley Callaghan, John Glassco and F. Scott Fitzgerald. This flavour was one of ideas in the air, of new avant garde writing, art and publishing. As Shakespeare & Co. was a springboard, where new approaches to literary art could take off, so did the Literary Storefront make a major contribution to the time in British Columbia when writing and publishing really came into its own. The L.S. was founded by a woman, Mona Fertig, who had a vision of Vancouver that was much more worldly in scope than the actual Vancouver of that time. Fertig founded The Literary Storefront at around the same time as a real growth spurt in literary and publishing and printing activities were initiated by women in Vancouver. Caitlin Press was founded by Carolyn Zonailo in 1977; The Literary Storefront in 1978; Press Gang Printers & Publishers in 1975; and the literary mag, A Room Of Ones Own–founded by a collective of women in 1975. These new literary and publishing enterprises initiated by women complimented those literary small presses and endeavors begun a few years earlier by male literati such as; Very Stone House; founded by Pat Lane and Seymour Mayne; Blackfish Press founded by Allan Safarik and Brian Brett, among others. In addition to hosting poetry readings, organizing and putting on workshops, The Literary Storefront also published an annual anthology of writing. Those anthologies offer a wonderful ‘slice of writing life’ of Vancouver between 1978-1983. In fact some of the work in the anthologies give us a rare look at several of Vancouver’s young writers who unfortunately died too early in their lives. It is important to have some of their writing in these anthologies. The energy and impetus for The Canada Council funded events hosted by the Literary Storefront, as well as all the other events that The Storefront put on, came mostly from its founder, Mona Fertig; however, members of the L.S. also contributed volunteer time and energy to the Storefront activities. The L.S. was special in that it was at once the ‘brainchild’ of an individual writer but it was also truly a community experience. “The Literary Storefront was an absolutely vital resource for literary programming in Vancouver during its lifetime and constituted an act of practical solidarity with Vancouver’s literary practitioners: showcasing, encouraging and expanding the horizons of so many of the city’s writers. The Storefront, besides being an excellent size for literary events, was particularly appreciated by organizations that wanted to offer author readings, seminars and similar public programming and needed a place to hold these. Between events, the Literary Storefront’s comfortable atmosphere (and furniture), along with its library and coffee pot, served as a sort of living room for Vancouver writers, who of necessity spend much of their productive time in isolation—a place to relax, rendezvous with others of the literary persuasion or profession, browse books and literary journals, and learn about forthcoming readings, panel discussions, publishing opportunities and much more. In 1973, Robin Skelton of Victoria reviewed the new Oxford Book of Twentieth Century Poetry, edited by Philip Larkin. Some of his comments were “Eccentric, uninventive, superficial, uninformed, trivial, absurd.” Out of 207 submissions, Larkin had accepted six poems each from twenty-two poets. Skelton was not one of them. In 2008, Hannah Main-van der Kamp’s submission to Rocksalt was rejected. She writes far less peevishly than Skelton. Putting together the first, extensive anthology of B.C. poets in three decades is an admirable but necessarily precarious project. It’s impossible to please all readers, let alone all writers, all of the time. Some worthy names will always be left out. GG-winner Roy Miki but not two-time GG-winner Don McKay? Bowering, Marilyn but not Bowering, George? Were some writers not interested in contributing? If you’ve been reading B.C. poetry for a long time, you may recognize about half of the poets in Rocksalt by name, but not their poems, because co-editors Mona Fertig and Harold Rhenisch limited inclusions to one “fresh” poem each. Will there be a volume II? And will it include Bachinsky, Belford, Blackstock, M. Blaser, Bowling, Bringhurst, Brown A., Compton, Cookshaw, Crozier, Kearns, Kishkan, Lane, Lamarche, Lau, Lillburn, New, Owen, Pearson, Price, Rader, Reid, J., Roberts, Shreve, Stenson, Thesen, Tucker, Wakan, Webb, Yates, Zwicky? The standard Canadian poetry anthology, edited by Gary Geddes, first came out in 1970. Now into its umpteenth edition, it must still leave a few noses out of joint. He chooses to include less than twenty poets with an average of ten poems per poet, as well as a few pages of bio/poetics. The 108 poets in Rocksalt represent about one-third of the total number who submitted. B.C. residency was a requirement. The introduction indicates “a new generation” would be welcomed, with an emphasis on “fresh” unpublished work. True to their resolve, Mona Fertig and Harold Rhenisch have erred on the side of generosity, according space to some less-known writers, but this sampling approach could leave some readers disgruntled. Imagine you are in a coffee shop that offers a huge variety of brews with elegant written descriptions but you may only taste a teaspoon of each. Speaking of coffee shops, why is there a cover painting of a jaded Viennese kaffee haus? It’s hard to relate the image of a bored, paunchy pianist as being relevant to the Pacific Northwest. The contributors live in all areas of the province and include First Nations writers. There appears to be a preponderance of poets from the islands, especially Salt Spring, home to the publisher. A significant proportion have MFAs and/or teach creative writing. A few wag against that. Some readers might have preferred to have more poetry, less theorizing. The latter rarely illustrates the former. The personal statements of poetics mostly avoid posturing and range from the predictable and pedantic to the original and humble. One wonders if these statements held equal weight with the poems as they occupy about the same amount of print space. what to make of this collection, mixed as it is, like this review. No anthology of poetry can be representational of all poetry. Many British Columbians write and never consider publishing. The “Spoken Word” resurgence cannot be conveyed in print. Fine poets take long breaks from writing. Some write in languages other than English and there are no translations in this volume. But, to its credit, this collection reflects the rich ethnicity of the population with a span of at least six decades between the youngest and oldest. It’s generous, it’s eclectic, it’s welcome; but not all the poems display accomplishment. An opening Dedication recognizes about two dozen wonderful poets who have passed away. Everyone will recognize their own favourites and loved mentors. Editing an anthology is like teachers trying to identify their best students: it shouldn’t be done but they can’t help doing it. Somebody has to teach. Somebody has to edit. JACK AKROYD (1921-1996) was born in Halifax, England. In 1947, he immigrated to Ontario to work as a machinist. It only took 18 months before he quit the CNR job to enroll at the Ontario College of Art in 1949. After graduating, in 1953, Jack moved to the West Coast, taking on various jobs. Jack worked full-time job as a draftsman with a Vancouver consulting engineering firm. He sketched and painted in spare time and between jobs. In 1961, he lived in Kitsilano and declared himself a freelance artist. Jack is quoted as saying “I figured if I could generate $100 per month, I could make it.” As not many of his early works sold, Jack supported himself by helping local sculptors. While Jack remained comparatively unknown on the West Coast, his work has been sought after in Japan as well as in Canada. UNITY BAINBRIDGE (1916-) O.B.C. V.S.A. studied at the Vancouver School of Art and graduated in 1936. Her portrait was one of a number drawn by E.J. Hughes that was reproduced in the 1936 Graduation issue of Behind The Palette. During the 1930s she travelled alone through the interior of British Columbia, up and down the coast and across to Vancouver Island for the sole purpose of painting the native people in their own environment. Her subjects include squatters’ shacks, Japanese and native villages, and portraits. She published two books; “The Lullaby of Lillooet” and “Songs of Seton”. An art teacher and author, Bainbridge received the Order of British Columbia in 1993 and a Queen’s Jubilee medal. Her work is at the VAG and in many private collections. She lives in West Vancouver, British Columbia. GORDON CARUSO (1923 -2004) was a British Columbian painter in the abstract tradition. He and his contemporaries, such as Gordon Smith and Peter Aspell, set the direction for many B.C. artists. Caruso was also a powerful teacher and communicator who influenced many artists during his substantial teaching career. Many pieces of Caruso’s art can be read as a reaction to his Second World War service in The Special Service Force. Caruso has exhibited in major North American galleries, and his work is in numerous private and corporate collections. He taught at the University of B.C., Simon Fraser University, Vancouver School of Art and Vancouver’s Langara College. His final studio was on Salt Spring Island where he continued to create his mixed media sculptural collages. GEORGE FERTIG (1915 -1983) was born in Alberta and moved to Vancouver in 1941. Fertig’s creative passion began at age twenty with photography during the Depression. He travelled to Mexico in the ‘40s, where he met Diego Rivera, and in the ‘50s, American artist Morris Graves became a friend and important influence. Known as the “Moon Man,” George Fertig was an artist’s artist, and his unique oil paintings have found no duplication in Canada. His paintings range from early landscapes, large and powerful archetypal images in the ’50s and ‘60s, to small numinous meditations on eternity in the ‘70s and ‘80s. His paintings were rarely exhibited in galleries and today are coveted in private collections. Carl Jung was one of his biggest influences. The 3rd book in The Unheralded Artists of BC series will be on The Life & Art of George Fertig by Mona Fertig, published in time for his retrospective at the Burnaby Art Gallery in June 1 – July 11th, 2010. JACK HARDMAN (1923 -1996) was born in New Westminster and studied art in Western Washington and at UBC. He married BC poet Marya Fiamengo in the ‘50s and together they had a son. A sculptor and a printmaker, he was an assistant to Cubist sculptor Alexander Archipenko in 1957. He was the first president of the Burnaby Art Society. Hardman taught many art students in Burnaby in the ‘60s, and from the mid ‘70s through the ‘80s he was the Director of the Burnaby Art Gallery. His work is represented in the National Gallery of Canada. His friends included artists Joe Plaskett, Jim Willer, Joy Zemel Long, David Marshall and Peter Paul Ochs. He lived in Burnaby where he died in 1996. He is featured in the 2nd book in the Unheralded Artists of BC. LEROY JENSEN (1927-2005) spent his childhood in China, Japan and Vancouver and studied painting at the Royal Academy of Copenhagen and under the French cubist André LHote in Paris. In 1954 he returned to Vancouver to paint and forged a friendship with fellow artists, Jock Hearn, David Marshall, Herbert Siebner and Peter Aspell. He was a founding member of Greenpeace and later a member of the Victoria-based Limner group. In 1982 he moved to Salt Spring Island with his family, where he fought for social environmental causes and continued to paint the human condition, especially women, until his death in 2005. His work is at the Art Gallery of Greater Victoria and the Burnaby Art Gallery. DAVID MARSHALL (1928 -2006) was born in Alberta, and studied at the VSA, the Heatherly School of Fine Art in London and began exhibiting in Vancouver in 1950. Henry Moore, who became a friend and inspiration during his studies in London in 1954, was one of many formal influences. He was a founding member of the Sculptors’ Society of B.C. and organized many international sculpture symposiums around the world. He taught sculpture at Capilano College 1973-1990. He continued working and exhibiting until his death at age 77 in Vancouver. Marshall left behind a legacy in marble, bronze and wood that has no equal in Canada. One of his large sculptures can be found at the Van Dusen Gardens. The first book in Mother Tongue Publishing’s series on “The Unheralded Artists of BC” is The Life & Art of David Marshall by Monika Ullmann. FRANK MOLNAR (1936 -) fled from Budapest during the Hungarian Revolution of 1956 and went to the USA where he studied art at the Pennsylvania Academy of Fine Arts. In 1962 he headed for Vancouver to forge his artistic destiny as a painter. There he met artists David Marshall, Peter Aspell, Georg Schmerholz, Elek Imredy and Jack Akroyd. In 1969 he became one of the first art teachers at Capilano College and taught life drawing and artistic anatomy for almost 30 years. His students included Charles van Sandwyk, Cori Creed, Andrew McDermott & Will Rafuse. Today he continues to paint and lives in Vancouver with his wife Sylvia. He is featured in the 2nd book on The Unheralded Artists of BC. PETER PAUL OCHS (1931-1994) was born in East Prussia and came to Canada in 1952. He studied in Paris at the Academie de la Grande Chaumiere under internationally renowned sculptor Ossip Zadkine (1956), and in Hamburg under Hans Ruwoldt (1957). Ochs exhibited in the first outdoor exhibition of BC sculpture at UBC, the Vancouver Art Gallery, at the Seattle Art Museum (1959), the National Gallery of Canada (1964) and was a founding member of the Sculptors’ Society of B.C. He was the recipient of a Canada Council Award in 1965. Among his many important installations is the “Story of Raven” at the British Columbia Museum, Victoria, and B.C. He spent his final years commuting between Greece, Vancouver and Gibsons, British Columbia, working primarily on watercolours and small sculptures. He died in 1994. J. DELISLE PARKER (1884- 1962) was born in New York City, and moved to England with his family at the age of nine. He was brought up near Stratford-on-Avon, where his father was American Consul in Birmingham and London. Parker was interested in theatre, and also studied art at the Croydon Art School. He studied art in Paris for five years in a number of schools including the Sorbonne and the Academie Julien, notably under Jean-Paul Laurens. He also studied in New York under Robert Henri. He wrote for the McGill News between 1931 and 1934, also illustrating his articles, before moving to Vancouver in 1934. From 1940 to 1959 Parker wrote an arts column for the Vancouver Province under the pseudonym of Palette. He was a founding member of the Federation of Canadian Artists. Lawren Harris wrote an introduction to Parker’s 1951 exhibition catalogue, lauding Parker’s work and referring to him as “a poet in paint”, in addition to recommending that the public invest in Parker’s work. MILDRED VALLEY THORNTON (1890-1967) Born in Dresden, Ontario in 1890, she moved with her family to Regina in 1913 and became interested in the Plains Indians. She began to paint professionally in the 1920s, painting portraits of more than 300 aboriginal people. In response to the Depression, she came with her family to Vancouver in 1934. Having attended Olivet College in Michigan, the Ontario School of Art and the Art Institute of Chicago, she wrote for the Vancouver Sun as an art critic from 1944 to 1959. Thornton was inducted into the Royal Society of Arts in 1954 and became president of the Canadian Women’s Press Club, but she could never attain her greatest wish: to have the government of Canada accept her donation of her work en masse. She died in 1967, at age 77. Embittered by the lack of official support for her art, she had a codicil in her will that requested all her paintings should be burned to ashes after her death. This codicil was not acted upon on the grounds that it had not been legally witnessed. The collection was saved but it has been mostly sold piecemeal. In 2011 Mother Tongue Publishing will publish The Life & Art of Mildred Valley Thornton by Sheryl Salloum. JACK WISE (1928–1996) made significant contributions to Canadian art but he will be best remembered for his connection to the “Pacific North West School” tradition that includes Mark Tobey and Morris Graves, amongst others. The artist immigrated to Canada’s West Coast in 1963 and tried his hand at homesteading. It didn’t work and he soon returned to making a highly personal and spiritually based art that investigates archetypal images. Throughout the 1970s and 1980’s Wise continued to paint, study and teach, including posts at the University of California, Victoria College of Art and the Metchosin International Summer School of the Arts. Wise’s work is found in many public collections in Canada and the most comprehensive holdings are found at the Art Gallery of Greater Victoria, which owns more than 30 main paintings including the Dorje series. Mona Fertig, who co-managed The Literary Storefront in Vancouver from 1978 to 1982, has always been distressed by the unfairness of the visual arts world. Growing up in Vancouver, she watched how her father, George Fertig, a gifted and dedicated oil painter, never got his due. How did Jack Shadbolt get so many one-man shows at the Vancouver Art Gallery? To retrieve and bolster the reputations of significant B.C. artists whose names and works have been unjustly overlooked, Fertig has undertaken a bold publishing series within her Mother Tongue Publishing imprint from Salt Spring Island. Hers is a Quixotic and expensive mission that has won her more admiration than she has ever gained as a poet for her own books. After the first two well-received books in the series about sculptor David Marshall, painter Frank Molnar, sculptor and printmaker Jack Hardman and painter LeRoy Jensen, she has turned her hand to writing and publishing an illustrated volume at the heart of the matter, The Life and Art of George Fertig (Mother Tongue $36.95). Her appreciative study looks at her father as a painter, a Jungian, a socialist, a symbolist and a perpetual outsider. In this excerpt, Mona Fertig describes life among artists in post-war Vancouver, when her parents met at the Ferguson Point Tea Room, and when local artists such as George Fertig were redolent with hope. During the 1930s and 1940s, the Vancouver Art Gallery held popular juried quarterly and annual exhibitions, which any artist could enter. Its policies supported the plethora of local artists (600 in 1949) in ways that were considered naive and unprogressive in the 1950s, but in retrospect seem nostalgically and indiscriminately supportive of Vancouver artists. From the soon-to-be-famous to the now-forgotten, artists often had their first exposure there. My father, George Fertig, participated in as many exhibitions as he could. Born in Alberta in 1915, George Fertig was a member of the infamous Trail Mine Mill Union in the ’30s and travelled to Mexico in the ’40s. Carl G. Jung and Morris Graves were important influences. He moved to Vancouver in 1941. In 1948, my mother, Evelyn Luxa, born in Winnipeg, Manitoba, moved to Vancouver. She was a gorgeous, dark-haired, olive-skinned woman with an easy laugh, and her talent for having fun provided quite a contrast to George’s seriousness. When she arrived in Vancouver, she lived downtown at 997 Dunsmuir at the YWCA and worked as a receptionist while taking night classes at the Vancouver School of Art. Evelyn also read tea leaves and cards at the Y to earn extra money. My parents first met at a tea house, a former ammunition bunker at Ferguson Point in Stanley Park. During the war, the building had been used as an army base, and the whole shore was armed. The Parks Board was anxious to get rid of the ammunition bunker after the war, so they rented it out to Jack Southworth, from the Vancouver School of Art, and his girlfriend. The couple opened a summer tea house in June of 1947 and lived in the apartment above. 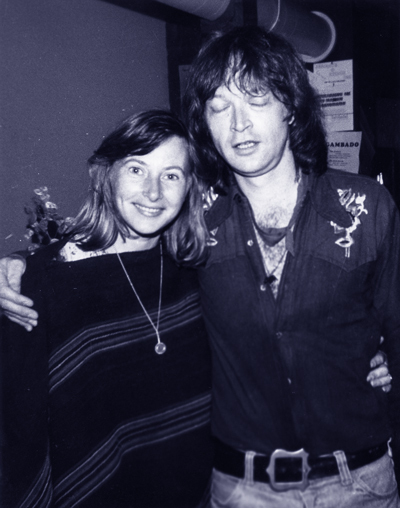 Their close friends included artist Joy Zemel Long and photographer Jack Long. The tea house was a “swank restaurant,” remembers Jennifer Hobbs, who graduated from the VSA that year, hoping to become an interior designer. She recalled wheeling a trolley around to customers with tea, milk, buns and scones in a copper-covered basket. Evelyn worked there for a short while. The back of the tea house had a studio space where the artists and students gathered. Fred Amess, director of the VSA, and other artists, including George, hung their work on the walls, and jewelry and pottery was offered for sale. Joy called George a “beautiful painter” who always wore corduroy. George was often at the tea house gallery whenever he and John Ahrens [of Ahren’s Books], came in from salvaging logs around Third Beach, with John’s boat. Unemployed after the war, they sold the logs to salvage companies. In the late summer of 1948, George showed Third Beach, listed for $50, in the Stanley Park in Pictures exhibition at the Vancouver Art Gallery. He completed English Bay in 1949. The painting is filled with the youthful optimism of a man experiencing the end of the war, an artist on the verge of becoming himself. In 1949, George moved to 1137 Beach Avenue. He was again listed as an artist in the B.C. Directory. Evelyn was listed at 161 Nelson Street, a 23-minute walk away. I’m not sure when my Dad and Mom began going out together. At first, she was only one of several girlfriends. She told me that she would often bring him cheese sandwiches because he was so poor. George would recite poetry to her, and they would often walk the West End beaches, sit on a log and watch the sunset. They were married in 1953. George Fertig died in 1983. His paintings were rarely exhibited but many are held in private collections. In her incarnation as a literary Florence Nightingale, Mona Fertig has set about rescuing the reputations of little-known B.C. artists—such as her father, George Fertig, who died unheralded in 1983—and sculptor David Marshall. Her next three candidates for revival are Frank Molnar, Jack Hardman and LeRoy Jensen. As Molnar is the only one of trio still living, his self-portrait graces the cover of Fertig’s second volume in her Unheralded Artists of B.C. series, The Life & Art of Frank Molnar, Jack Hardman & LeRoy Jensen (Mother Tongue $34.95) with texts by Eve Lazarus, Claudia Cornwall and Wendy Newbold Patterson respectively. Frank Molnar (1936– ) fled from Budapest during the Hungarian Revolution of 1956 and went to the USA where he studied art at the Pennsylvania Academy of Fine Arts. In 1962 he arrived in Vancouver and later met artists David Marshall, Peter Aspell, Georg Schmerholz, Elek Imredy and Jack Akroyd. In 1969 he became one of the first art teachers at Capilano College where he taught life drawing and artistic anatomy for almost 30 years. His students included Charles Van Sandwyk, Cori Creed and Will Rafuse. Today he continues to paint and lives in Vancouver with his wife Sylvia. Jack Hardman (1923–1996) was born in New Westminster and studied art in Western Washington and at UBC. He married B.C. poet Marya Fiamengo in the 1950s. A sculptor and a printmaker, he was an assistant to Cubist sculptor Alexander Archipenko in 1957. Hardman taught many art students in Burnaby in the ’60s, and from the mid ’70s through the ’80s he was the Director of the Burnaby Art Gallery. His friends included artists Joe Plaskett, Jim Willer, Joy Zemel Long, David Marshall and Peter Paul Ochs. He lived in Burnaby where he died in 1996. LeRoy Jensen (1927– 2005) spent his childhood in China, Japan and Vancouver. He studied painting at the Royal Academy of Copenhagen, as well as with the French cubist Andre L’Hote in Paris. In 1954 he returned to Vancouver to paint and forged a friendship with artists Jack Hardman, George Fertig, David Marshall and Peter Aspell. He was a founding member of Greenpeace and later a member of the Victoria-based Limner group. In 1982 he moved to Salt Spring Island with his family, where he fought for social environmental causes and continued to paint the human condition, especially women, until his death in 2005.